This week has been a busy week in our house crafting wise. I watched several classes on the different sites to see which one I want to review first. There are so many things I want to do. Several of them need me to clear off my office table so I can sew some patterns that I am excited about. The first one is going to be Crocheting in the Round with Stacey Trock. I made the ear flap hat last year and i made myself the slouchy beret this week. I started clearing out the office from the crazy piles of randomness that ended up in there during the Christmas season. Need to move stuff off a shelf for a decoration? Stick it in the office. Need to store the 6 rolls of wrapping paper? Stick it in the office. Need to stash half the presents you bought for the kid before you realized you might have gone over board? Stick them in the office. Need a place for hubby’s 300 shotglasses he took down and put in a box? You guessed it. I found somethings when I was clearing up that I need to get finished. Mainly the wild life cable blankets. I have the bear completely finished but I need to put a piece of flannel on the back because I carried some of the yarn across instead of cutting, or using multiple bobbins to carry up the design. The wolf was so close to being done it isn’t funny. So I buckled down and finished it. 2019 Crafting Laws You know how I am a podcast junkie right? Well all of them this month are about setting goals, making resolutions, and finding the word that will be your motto for the year. Like most of the American population I am so motivated to do things right now it isn’t funny. I have made a few plans and some big decisions I am excited about. To keep them going all year I am calling them laws instead of resolutions. My Motto: This is the first year I am going to have a motto. In 2019 I am going to “Own It.” I am going to own my body with all of it’s curves, and sew clothes that will both flatter it and make me happy. I am going to own my curly graying hair. I am done dying it, straightening it, and wearing it all wrapped in a tight bun. I am done making excuses when I don’t get something done or make a phone call. I am going own it. Either it wasn’t something I wanted to do, or I let it get pushed to a back burner. 100 Day Projects: I have been listening for years about people doing 100 day projects and how much they love it. Going through my craft room this week I decided I am going to do 3 of them this year. There are some crafts that I have bought supplies for but never commited to and this is the year I am going to Own it. 1 – Embroidery, 2 – Scrapbooking, 3 – Tatting. I am only buying 5 pieces of clothing. Anything else I have to make. (I know a lot of people just go cold turkey but my logical little heart won’t let me. I know I don’t have the skills to make my own bras, bathing suits, or jackets – yet. So I am letting myself have the option of buying 5 things. Just in case. I will start and finish one quilt. I have several in the garage in kits waiting for me to get them done. I have been putting off quiliting becasue of the jelly roll quilt that I am not digging at all. Right now I just have to finish the binding and it will be done! No buying new yarn, paper, journals, etc. In 2018 I made a law that I would only buy yarn if someone ordered a project I couldn’t make from my stash or the yarn for one sweater for myself. I stuck to it and I am so proud of myself. I only bought yarn for the lavender fields blanket I made for a Christmas gift (after I used up all the colors I could in my stash), and the yarn for my Daring Duster sweater. This year I am expanding the no buying list to all craft supplies that take up space. Things like tapes, needles, or anything small are still up for grabs. I am reopening the Etsy & Amazon stores. I have a ton of yarn that I will never be able to use for just our family and my charity makes so I need to do this. The part that will be different is I hope to desing everything I put in there. I have the body down for my own line of amigurumi – i am just working on the heads now. 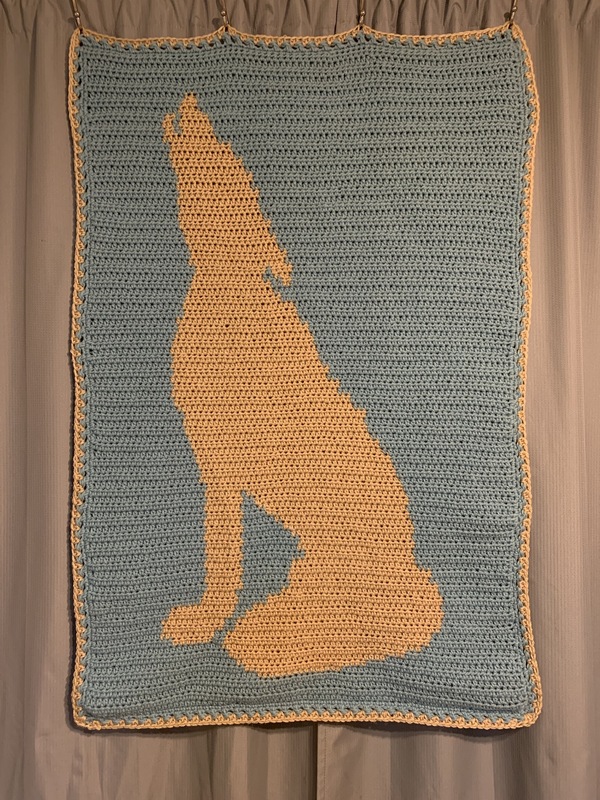 I have also started designing my own baby blanket/ play mats, and have plans for cat mats. It is going to be awesome. Leave me a comment with your plans for 2019! Good luck with your long list – very admirable and hope you achieve everything on it – I love the idea of making more of my own clothes and only buying 5 – just wouldn’t be able to do it! Let us know your crafting progress on here – look forward to seeing lots of progress!